Peter Parker, the legendary comic book alter ego of Spider-Man, is dead. At least, he's dead in one of the Marvel Comics universes. And in that universe, his powers now rest in a young man named Miles Morales, who happens to be half African American and half Hispanic. Today we take a look at the new comic book hero, and the history of racial politics and comic books. Peter Parker, the legendary comic book alter ego of Spider-Man, is dead. At least, he’s dead in one of the Marvel Comics universes. 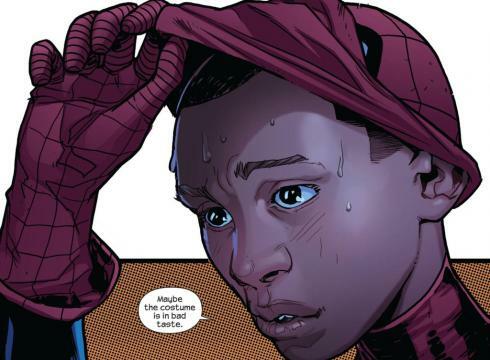 And in that universe, his powers now rest in a young man named Miles Morales, who happens to be half African American and half Hispanic. For a humerous take on the subject, check out comedian Andre Meadows’ video.